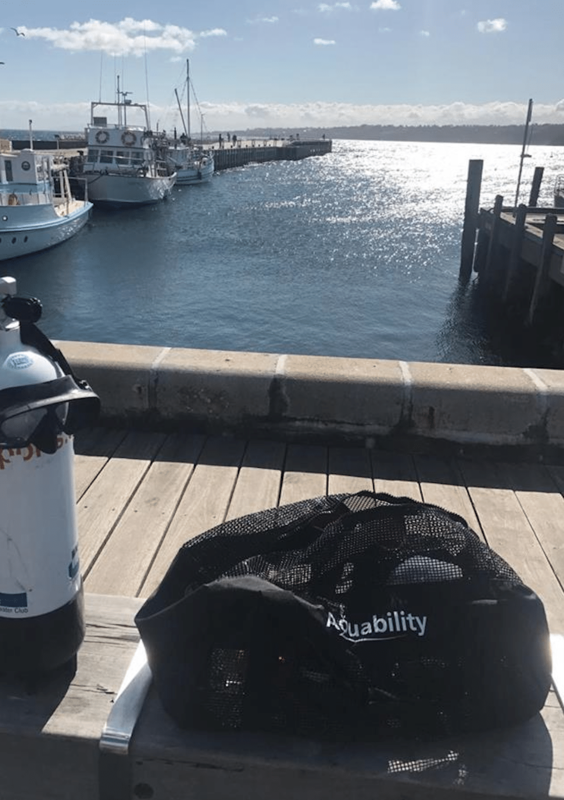 With the IANTD Deep Diver course commencing this weekend, we decided to head down to Mornington Pier for a practice day. We hadn’t dived Mornington Pier since the damage and reconstruction period, so weren’t sure what to expect when we descended. The mid-Bay water temperature had finally bounced up to a comfortable 14 degrees C during the week, and visibility was the best that either of us had seen at Mornington – generally around 8m, and at times as high as 10. With the debris left over from reconstruction of the pier, both dives felt a lot like wreck penetrations. Large timber pylons, steel mesh and girders provided all sorts of swim-through opportunities, especially in the area just outside the former break-water. Fish life has still not returned to former levels, however we did encounter giant cuttlefish, rays and seahorses. On our second dive Mark practiced laying and recovering line, and then we took advantage of the depth to practice our buoyancy control for ascents in blue water.